Vauxhall Combo Cargo Interior, Sat Nav, Dashboard | What Car? 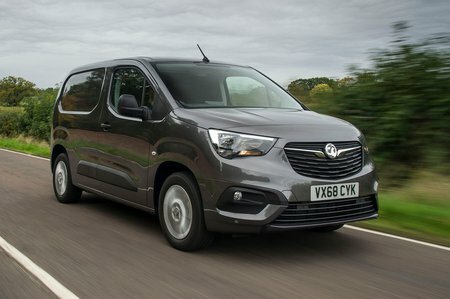 Most jointly developed vans have a different grille and the badges of their respective brand, but beyond that little is done to customise their model beyond a change in the specification of some of the equipment or some different colour options. Not here. 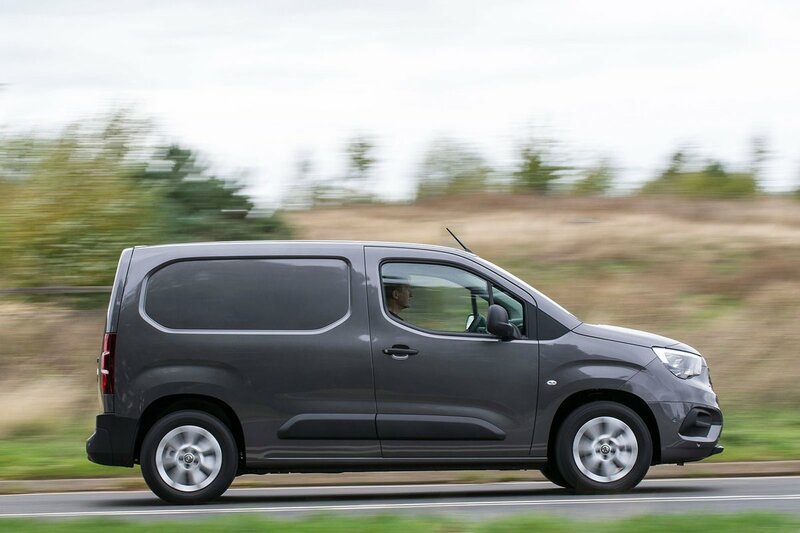 Although the Combo is allied to the Citroen Berlingo and Peugeot Partner, it has unique exterior parts and huge differences in its interior layout too. The Vauxhall has a smart, well put-together cabin and, considering its size, is particularly spacious. There’s a total of 15 storage compartments, including under-seat pull-out trays and narrow but decent length door pockets. Two-seat and three-seat options are available; the centre seat on a three-seater also folds down to become a table for use as a mobile office. An eight-inch colour touchscreen dominates the centre console of the top-spec Nav versions, and it’s a fine bit of equipment for a van. It has Apple CarPlay and Android Auto compatibility, but also integrates with the satellite-navigation and rest of the infotainment system. While it may sound like a simple thing, it is also angled towards the driver for a better viewing experience than in the Ford Transit Connect, where the screen is fitted flat. That makes the cabin feel very driver-centric and it is all the better for it. Visibility is great, both forwards and backwards, and is aided by the option of a live rear-view mirror display (essentially a wide-angled view of the rear-parking camera) and a blindspot camera for down the sides of the van. The quality of the interior is right at the top of the segment too, albeit with plenty of varieties of plastic on display. Without the touchscreen, you simply get a Bluetooth enabled DAB radio integrated into the centre console. 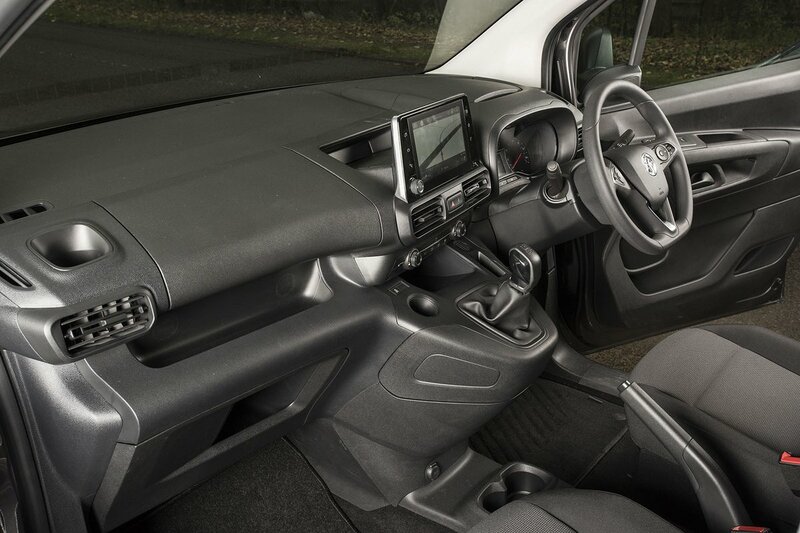 As well as the DAB radio, entry-level vans get a four-way adjustable driver seat, one-touch electric windows and electric heated mirrors. There’s also overhead storage and that under-seat storage compartment. Sportive models get a more adjustable six-way driver seat with lumbar support, armrest and a four-way adjustable passenger seat. Air-conditioning is also included, plus rear-parking sensors, cruise control and an alarm. On the outside, it gets metallic paint and colour matched bumpers as well as 16-inch rather than 15-inch wheels. Top spec Nav models get the large colour touchscreen, sat-nav and a host of exterior improvements, including body-colour mirrors, door handles, and side protection mouldings. There’s also 16-inch alloy wheels and a unique design to the front bumper to incorporate fog lights.